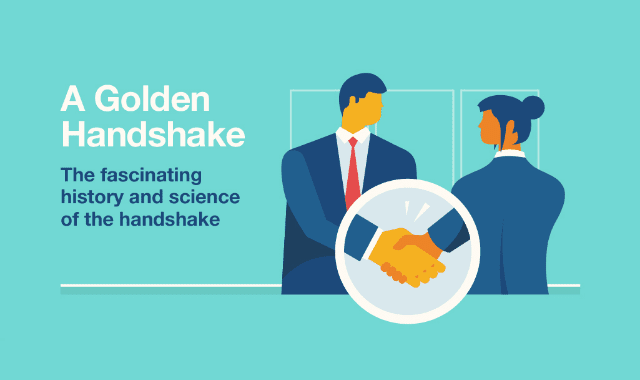 The Fascinating History And Science of the Handshake #Infographic ~ Visualistan '+g+"
Handshaking is about as prevalent in the business world as pencil skirts, suits, and coffee. But why the heck do we do it? Shaking hands has a long and storied history, and there may be a peculiar reason we greet people this way. Check out the infographic below to learn how to hone your hand-shaking skills.